used for Preschool Bible class, though. 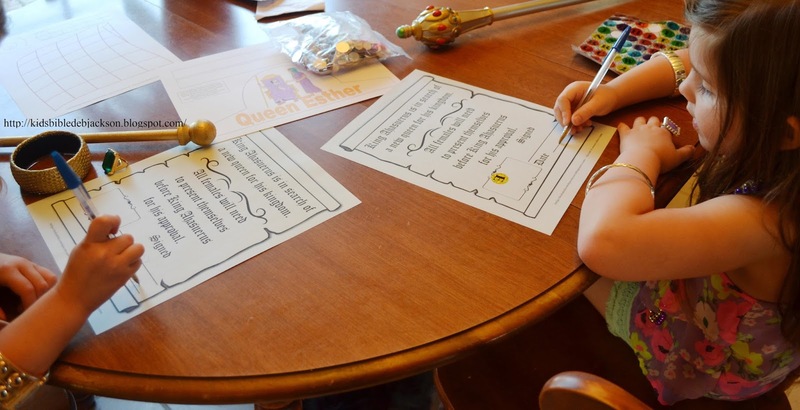 This is a condensed lesson for preschoolers and is found in the book of Esther. There was a king named King Ahasuerus (AKA Xerxes). He had been the king for 3 years and he was having a great big feast. The feast lasted 180 days... that is almost half of a year! Then, he had another feast for a week! He invited his officials and servants to the feast. His queen, Queen Vashti, had a feast for the women in the royal palace. On the seventh day, the king was feeling happy and told some men to bring in Queen Vashti to him, wearing her crown, so he could show his friends how beautiful she was. You can print the crown here. But, Queen Vashti refused to go to the king and he was angry! The king's wise men told King Ahasuerus to make a new decree (law). If the queen would not come to the king, then the king would give her royal position to another that deserves it more. So, King Ahasuerus sent out letters to everyone. You can print the letter here. They can sign it and stamp, color or add a sticker to the box, and tie it up with a ribbon or string. Four years later, Esther gets to go before the king again. The king loved her more than all the other women. (2:16) King Ahasuerus put the crown on her head and made her the queen. 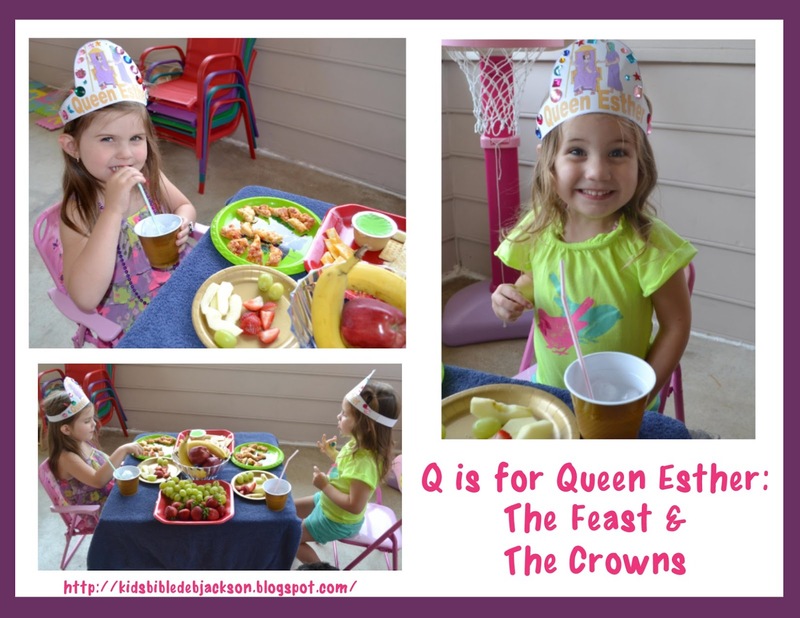 He made a great feast and called it “Feast of Esther”. 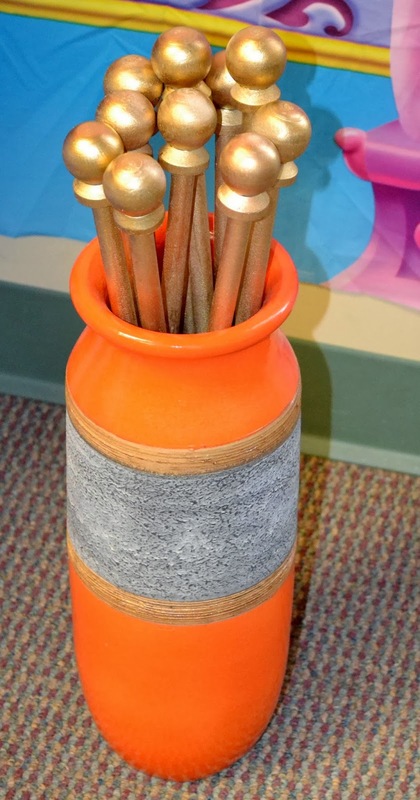 I had the scepters from my Bible class, and you can see more here. I set up an area in the living room to resemble a throne room (like I do for Bible class). They sat on their 'throne' while we talked about Esther. 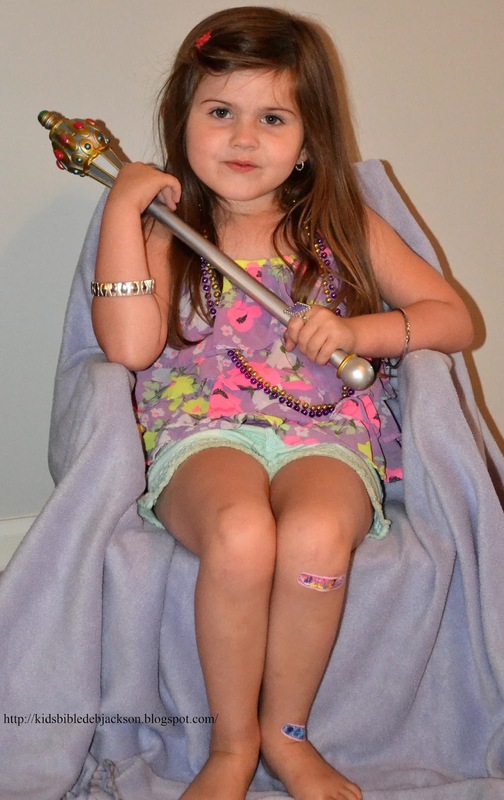 Of course they both wanted to be Queen Esther, so I was the king! 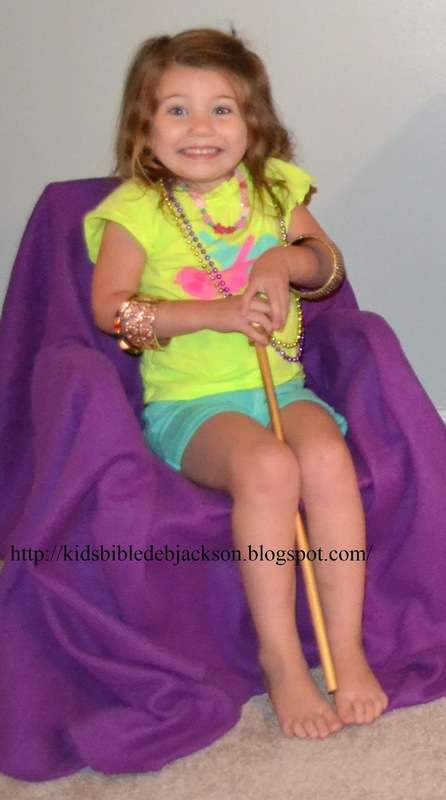 I gave them jewelry when we talked about Esther getting ready to go before the king, and we used these scepters. You can see how to make them here. 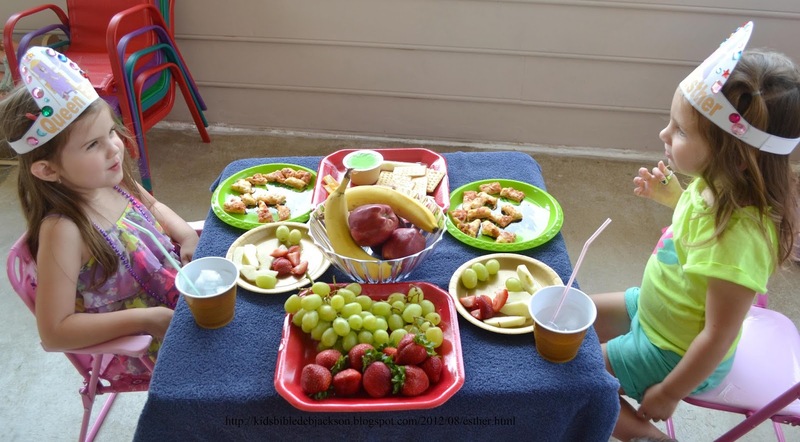 We had a feast, just like King Ahasuerus and Esther for lunch! 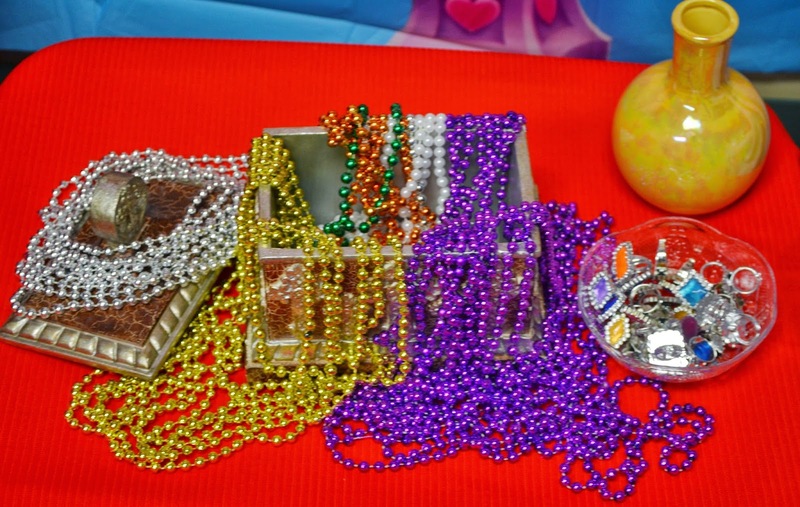 And, you can see how they decorated their Queen Esther crowns with jewels. They decorated their Esther crowns with jewels. Print the crown (color & B/W) here. There are enough squares on the Q is for Quilt worksheet that is in the pack, so I had the girls put alphabet stickers in order on each square. 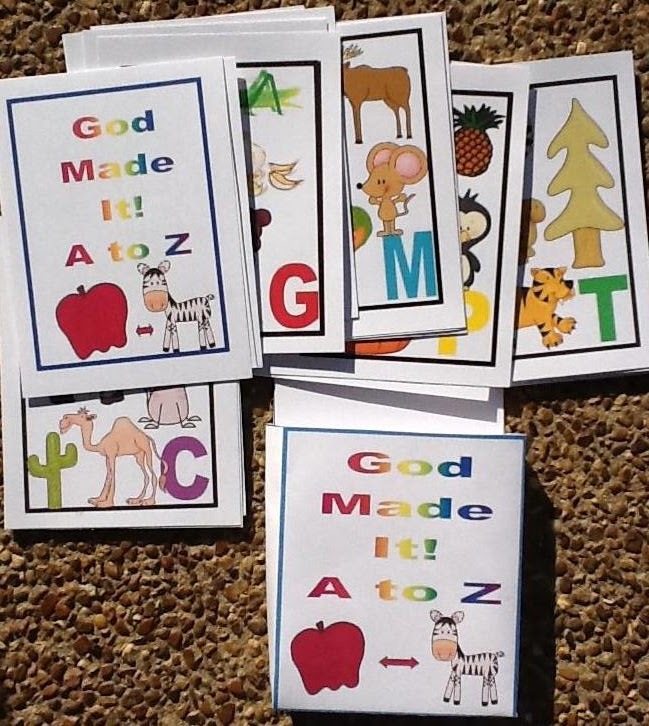 There are always other printables in the alphabet packs which includes several pages like Q is for Quail, etc. and not necessarily from the Bible. 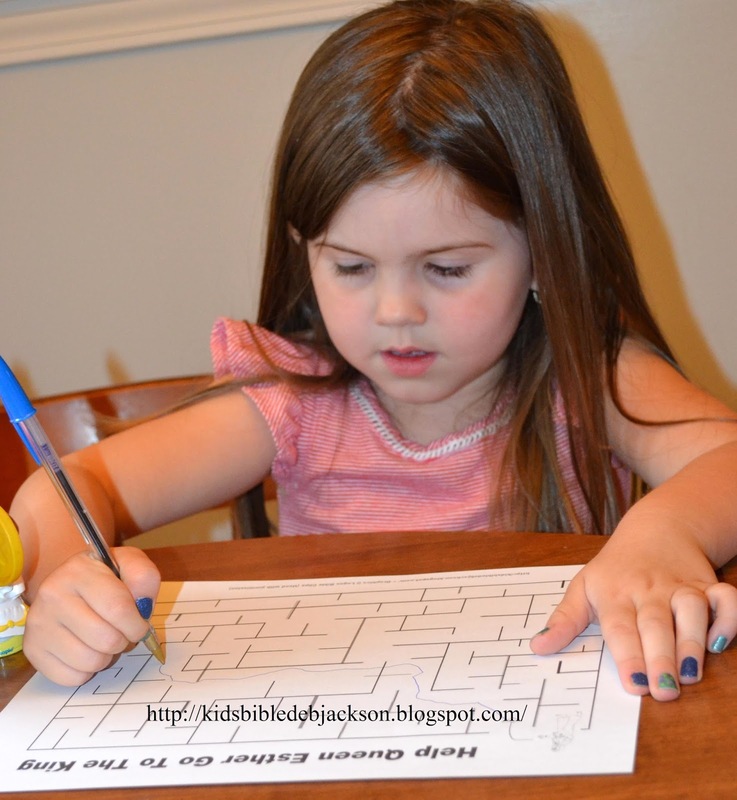 And, there is an Esther picture to color and a maze. The letter announcing that the king is looking for a new queen is in the pack also. You can download it all here. 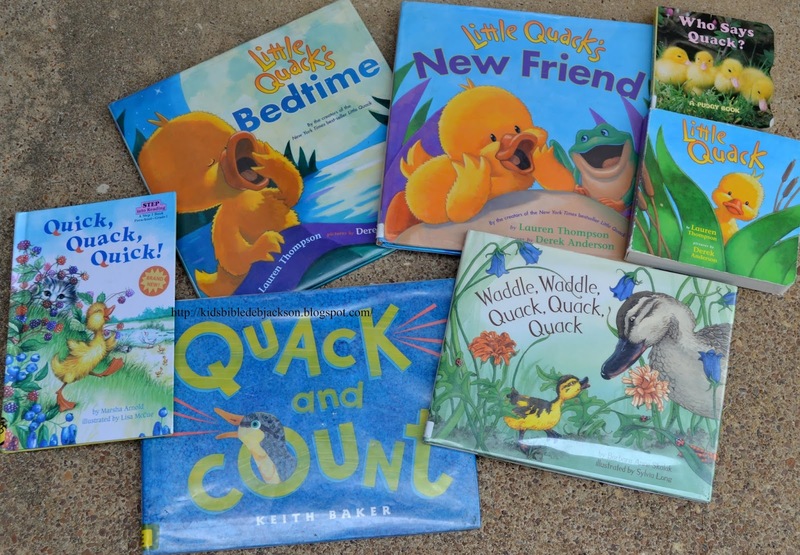 There are not a whole lot of books for the letter Q, so I found books at the library for Quack. They like the Little Quack books. You can see my Q is for... Pinterest alphabet board here. You can see my Pinterest Esther Bible board here. 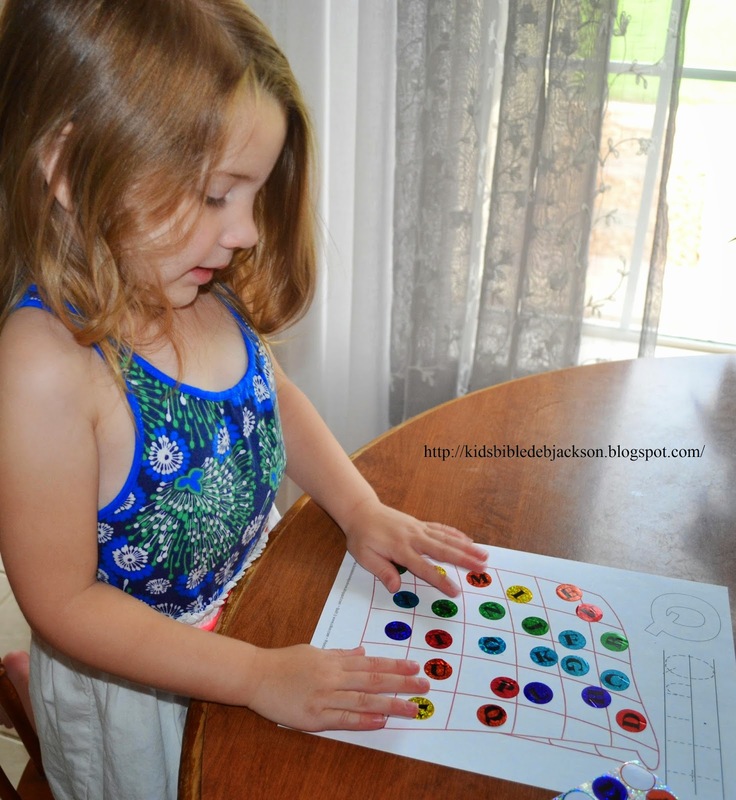 Free HomeSchool Deals! Click here to see it! Those are some lucky girls. I think you guys must be having a world of fun! How very precious that you brought the story to life in a way they could relate. May God seal His truths to their hearts! Loved seeing them sitting on their "thrones". Visiting from Essential Fridays this morning. Have a great weekend! Thanks so much for the wonderful comment! I appreciate you stopping by! This is just so CUTE!!! How creative of you and how thrilled your girls look!! Great mom moment and bring glory to Him! THanks for linking up to WYWW!! Come back tomorrow. Thank you! They had a lot of fun! Thanks for visiting! Oh, how fun and memorable this looks! Your kids are lucky to have such amazing opportunities to walk out the word and understand it! I'm so glad I saw this on Happy Blessed home! I have a 3 yo grandbaby, and she would love this! !